The first planting of beets has been less than stellar, but I was happily surprised with some of the beets that come out of it today. The second planting looks much better. Pretty soon we will have carrots, too! 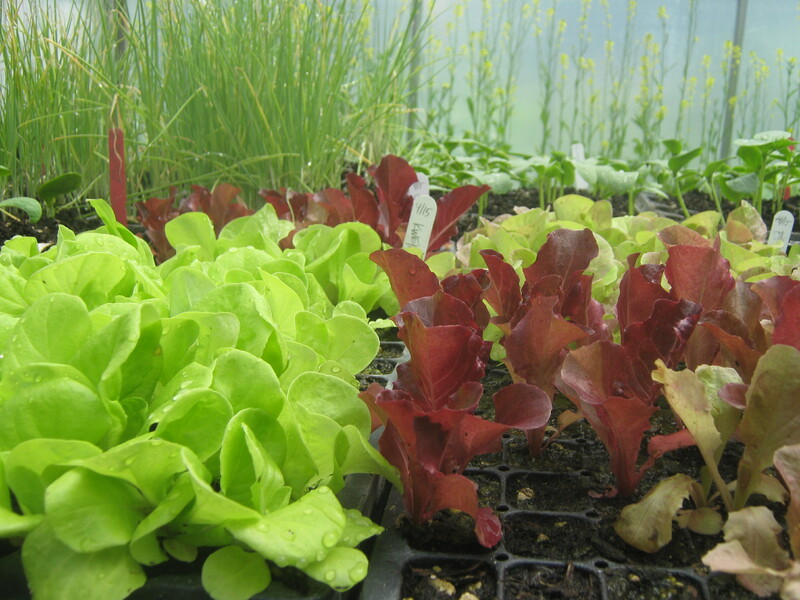 Here’s a photo of lettuce starts from the greenhouse – this planting is now in the ground and each plant is about 5″ wide. What a glorious spring we have had! Happy summer solstice and may the bounty continue.